Porter Airlines and Bombardier Commercial Aircraft announced today that the airline’s fleet has grown to 29 aircraft with Bombardier’s delivery of another Q400 turboprop. Porter exclusively flies Q400 airliners. Porter’s home base at Billy Bishop Toronto City Airport is known as one of the world’s best urban airports. It is located within three kilometers of the city’s central business and entertainment districts. Approximately 2.7 million passengers used the airport in 2016. 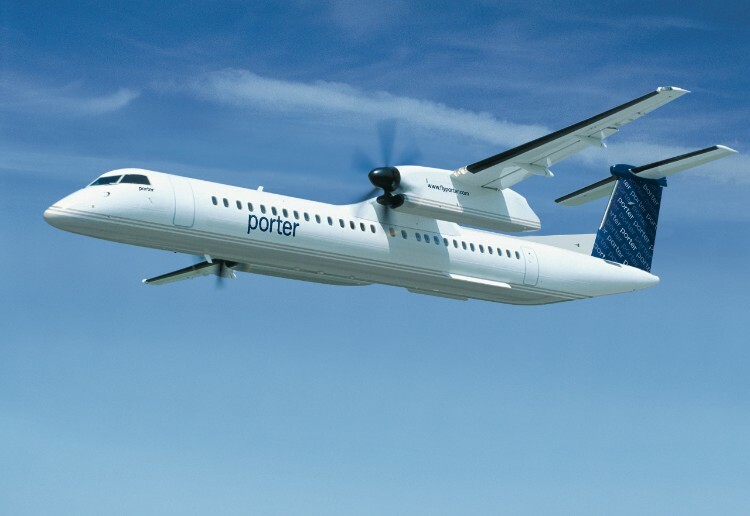 “We are honoured that Porter continues to credit the Q400 aircraft with providing the operating efficiency, speed and low noise levels that have helped the airline grow to become one of the best regional airlines in North America. Bombardier is delighted that the Q400 aircraft has contributed to that success as we continue to see a trend for more capable turboprop aircraft worldwide,” said Fred Cromer, President, Bombardier Commercial Aircraft.